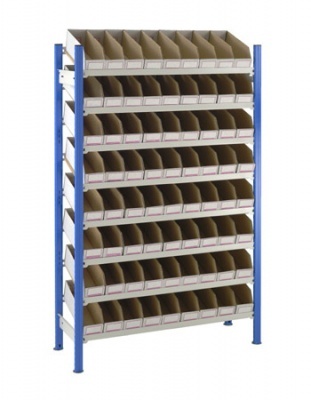 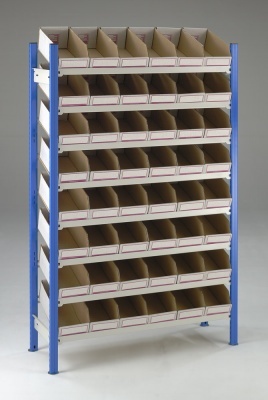 Choose from three differently configured picking bin shelving units with either 48, 60 or 72 Cardboard K-Bins included. The combination of L support beams and 8 x MDF shelf decks allow each level to be angled front-to-back to provide easier access and greater stock visibilty - improving stock picking rates. 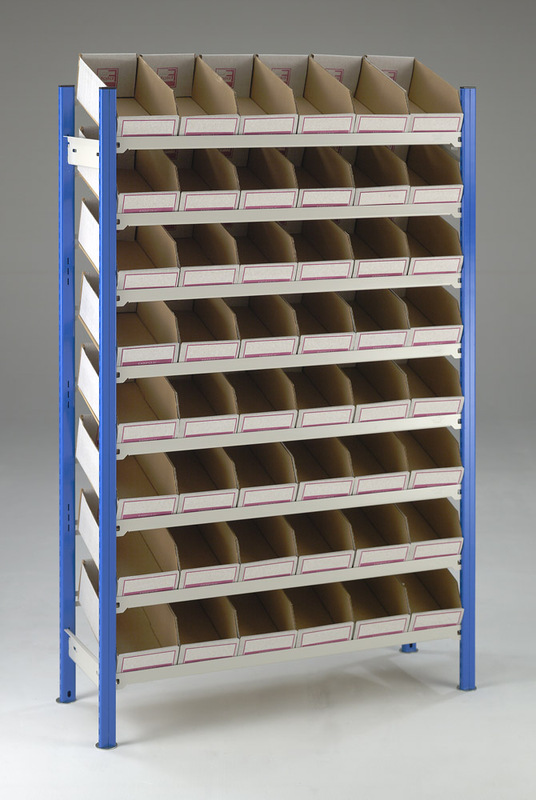 Order as starter bays to have free-standing units that can be placed anywhere or a combination of starters and add-ons to create cost-effective longer runs of picking bin shelving. 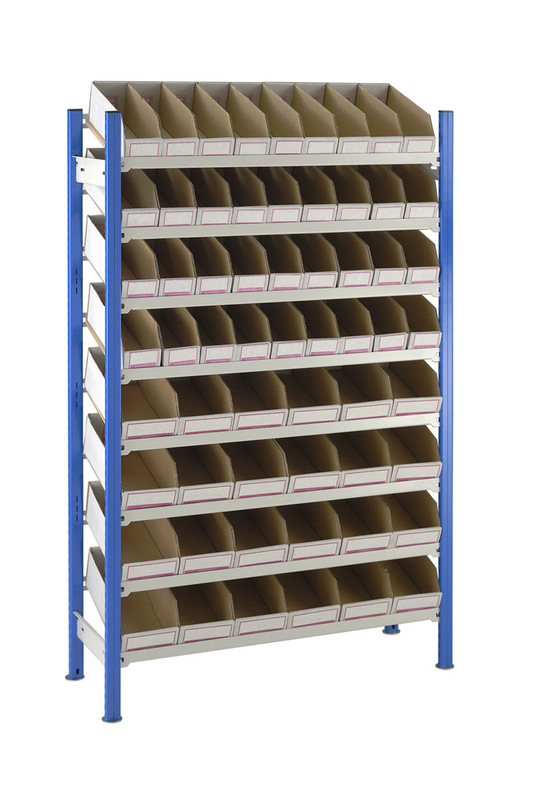 Please note that the 60 bin bay comes with a mixture of the narrow and wide bins found on the other 2 bay options. 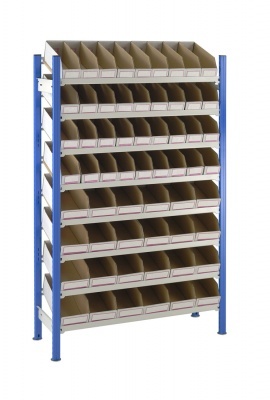 Note: This shelving bay now comes supplied with our best selling green Cardboard K-Bins.